Living at Mahidhara Fortune City is a compliment to elegant engineering. For the connoisseurs of fine living who wish to take the right size of living space, Fortune City comprising over 200 housing units spreads forward an ample choice of lifestyle measurements. With houses measuring 1,130 to 2,899 square feet varying from twin houses to villas, Mahidhara Fortune City also caters plots to the investing enthusiast. 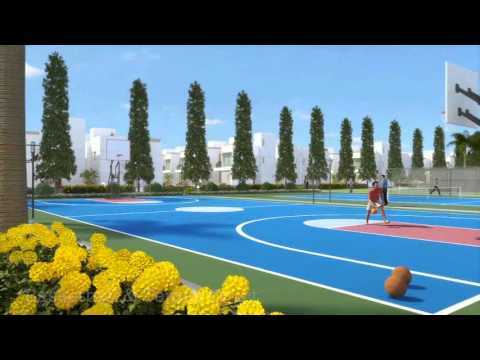 Mahidhara Fortune City is a commitment to dedication. With an eye for detail, the project is synonyms to quality and the development & planning of the entire project that embeds comfort & convenience in every corner stands testimony to it. This perfectly secure haven that comes in with 2 year's maintenance accommodates itself in an attractive and reasonable price tag with a higher appreciation potential that makes Mahidhara Fortune City your preferred choice. Welcome to “Your Perfect Home”. Mahidhara projects - We believe in delivering value to one and all, by creating & delivering high quality projects for your life style. We consider ourselves a service industry… and our service is to design and deliver a 'better living'. We aim to create spaces that enable you to focus on the things you consider important – whether it is building a career or a business, growing a family, connecting with friends, or simply finding the time and space to pursue your dreams. We aim for superiority in architectural design and pride ourselves in execution integrity. Through our projects we provide you with the right blend of aesthetics, practicality and economy because we know it's not just a house, it's your home and eventually, a better lifestyle. Creating happier communities requires integrated planning, detailing focused on sustainability and sensitive post – possession hand- holding. Our mission is to create efficient housing complexes leading to 'better living', as well as best value appreciation for our customers. Our commitment to quality and our reputation for reliability and integrity has won us the faith of our customers, both in India and abroad. We are a reputed name in the housing ventures segment is committed to create a wholesome living experience with its expertise and business acumen. Building classy homes has been the sole motto of the company and all our projects are uniquely designed with immense attention to even the minutes details. With Honesty & Trust as the brand promise, Mahidhara projects is dedicated to provide you a hassle-free experience right from the point of an enquiry to the happy moment of handing over your valuable possession. The company with its ever growing list of happy customers, is all set to expand its operations in Bengaluru, Chennai and Hyderabad benchmarking the epitome of fine living. Mahidhara believes in not just building houses, it is dedicated to create homes that will reflect your desire and lifestyle. "Bring Home Happiness with Mahidhara". Content provided by Mahidhara Projects Pvt. Ltd. Info Edge (India) Ltd. disclaims all warranties against infringement.